Director Mohan Raja is the latest to appreciate the Telugu sensational film 'Arjun Reddy.' 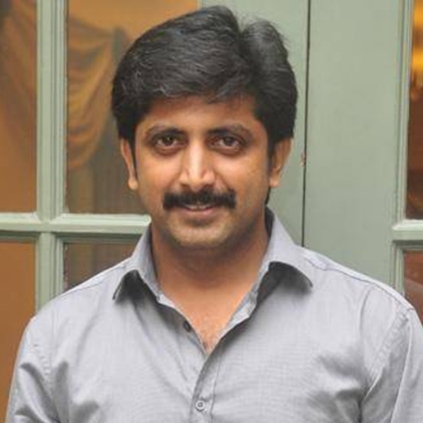 Mohan Raja took to his twitter and tweeted. 'Way my dad was praising #ArjunReddy n @DVijaySai ,gav me d kick tat sooner I shd get such an appreciation fm him..Proud of d team..Yet 2 see'. 'Arjun Reddy' on the hand is running successfully on the screens around the state and also creating good word of mouth publicity among the movie goers. There are also repeat audiences for the film, which is a good sign for a quality film. Not just director Mohan Raja but the movie also won appreciations among other well-known directors and stars. Hara Hara Mahadevaki backs out from Diwali race - New release date is here! Lessons learnt from Vijay - Mersal lyricist Vivek reveals! Vijay Sethupathi's views about film reviews and reviewers! Super announcement: This Vemal film gets a sequel! People looking for online information on Arjun Reddy, Mohan Raja will find this news story useful.